With festive celebrations and fireworks galore taking place this weekend and early next week travellers are being advised to plan ahead to ensure a sparkling time. Manchester’s famous Christmas lights switch-on and show returns to Albert Square on Saturday evening (3 November) and a host of stars from stage and screen are set to perform – including Jonas Blue, Max George, the cast of Wicked, Dr Do-little and The Producers. The night will be topped off by a huge 10-minute firework display. 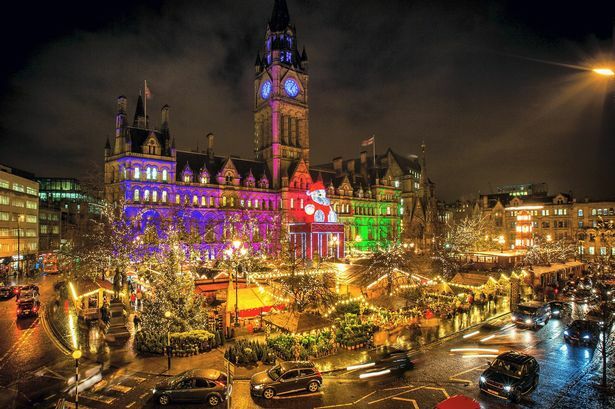 If you are planning to attend then TfGM has put together a Christmas lights switch on travel advice page to keep you all on the move and with changes to the Bury Metrolink line and industrial action taking place on the day please take the time to check. There are also a number of Bonfire Night displays taking place over the weekend and into next week – with the largest events happening on Monday 5 November at Heaton Park, Wythenshawe Park and Platt Field’s Park. Read the full news release for more information.